Apache (HTTPD) is the most popular web server on the web right now. It is from the Apache Software Foundation. A web server serves content to the web. The power of Apache lies in it's modules which allows you to process scripting languages such as Perl, and PHP. 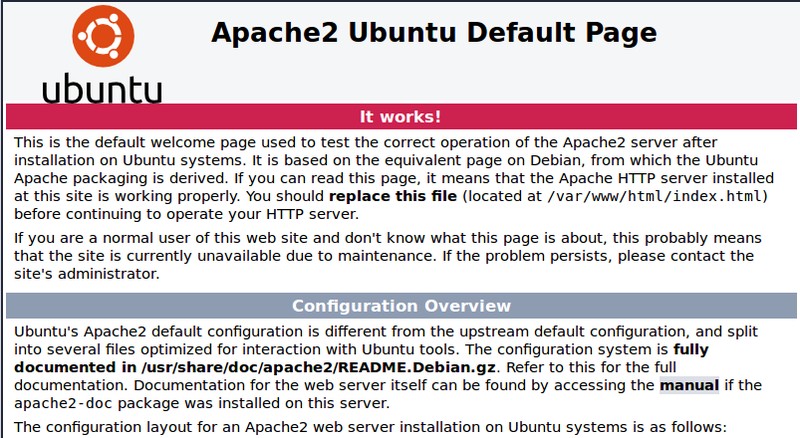 as you can see the "Apache HTTP Server" is called "apache2"
4. When asked if you want to continue select "Y"
7. 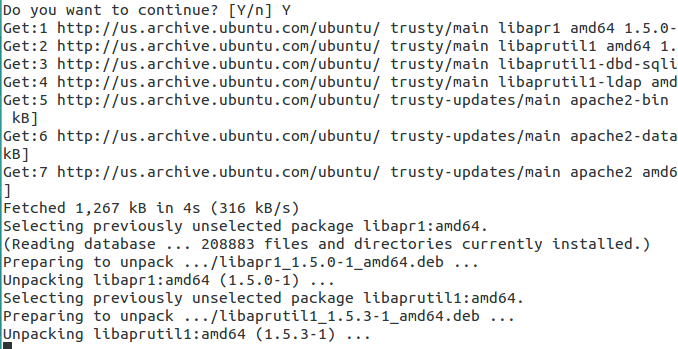 You should see the Ubuntu Apache2 Ubuntu Default Page as your localhost home page, and that's all there is too it. In future blogs I will go over how to use and configure the Apache web server.